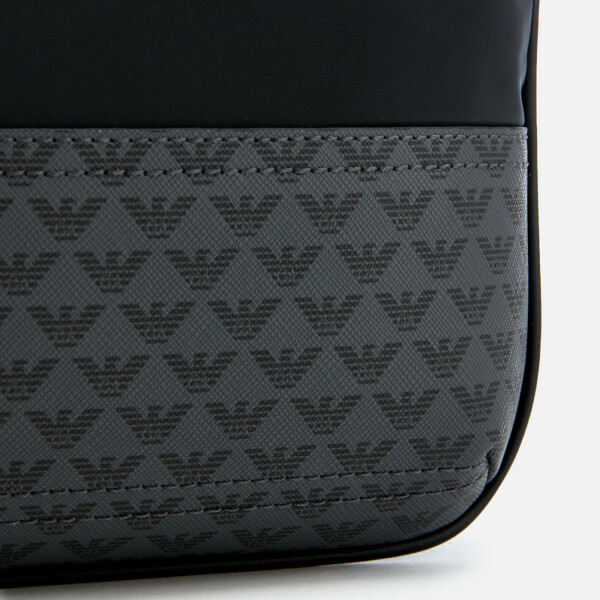 Emporio Armani black messenger bag with contrasting trims that are decorated the Italian brand’s eagle logo monogram print. 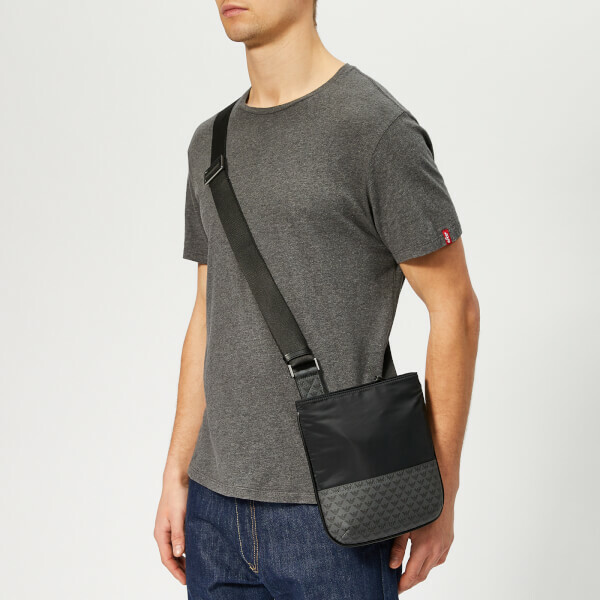 The compact nylon bag has an adjustable webbing strap for carrying over the shoulder or cross body. 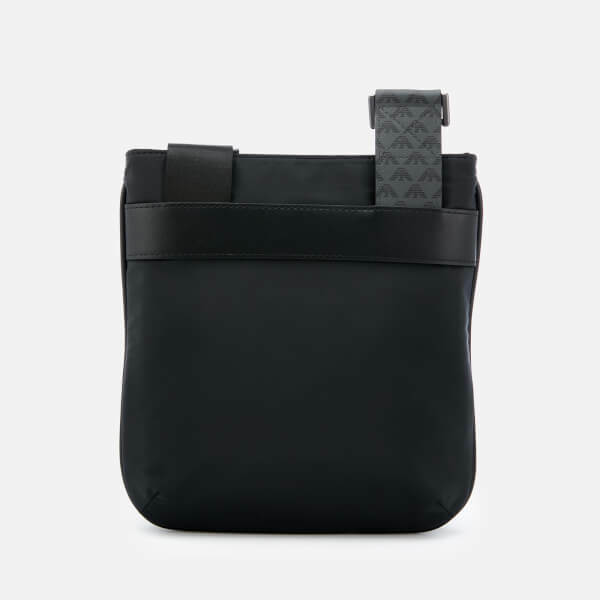 Secured with a zip top fastening, the inside of the bag is lined with logo jacquard fabric and features two slip pockets and a zip pocket. 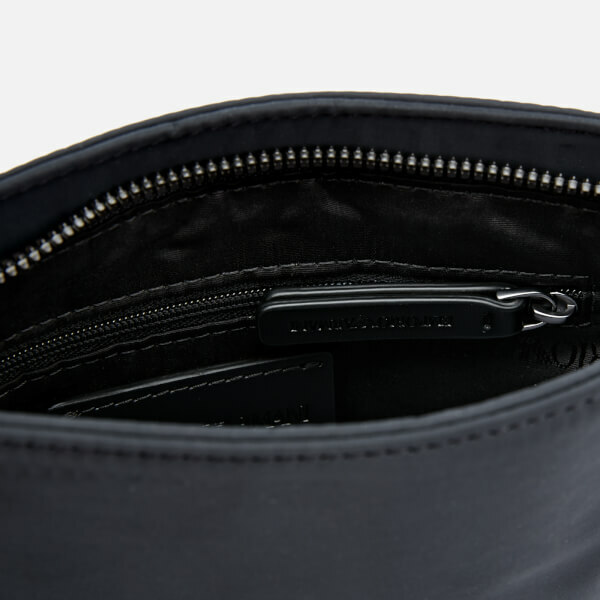 A logo-engraved zip pull completes the design. External Fabric/Lining: Polyester. Secondary Fabric: PVC. Exterior Coating: Polyurethane. Dimensions: H: 24cm x W: 23cm x D: 2cm. 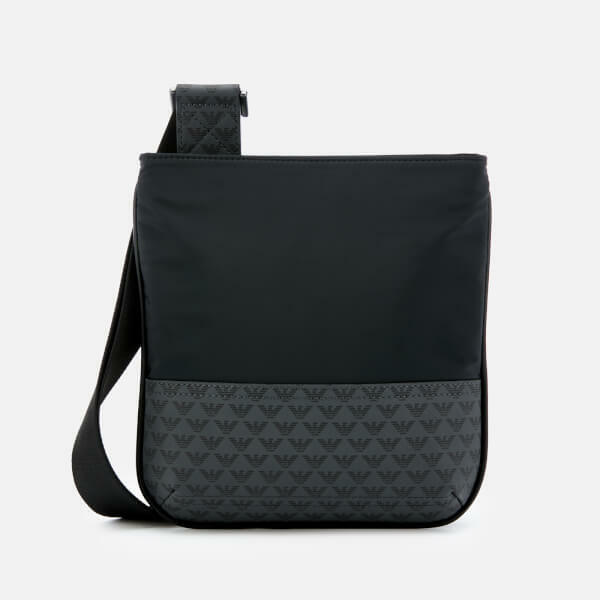 Strap Drop: 67cm.